"As pioneers in automatic excavation technology, with the TS-5 in 1996, we are excited to bring to the market a new unique aftermarket system that controls depth of excavation automatically as well as the angle of the bucket," Murray Lodge, senior VP, Construction. "With the automatic excavation system, the risk of over digging is minimized, while productivity is maximized saving time and reducing costs," said Lodge. "We have seen how much automated control changed the earthmoving process with our dozer systems and we expect the huge benefits of now having an automated excavator system to introduce similar benefits." "The modern calibration system is easier, faster, and less error prone — machines will be more accurately calibrated than with traditional methods, resulting in better outcomes on projects," said Lodge. 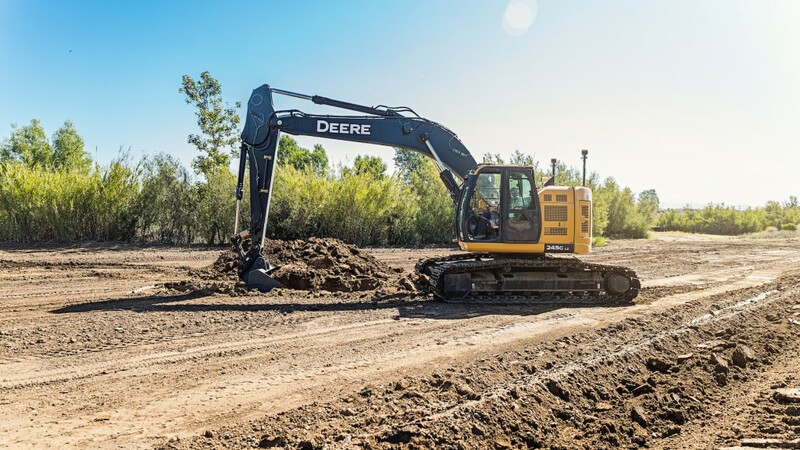 "The automatic system rounds out our complete line of excavator solutions from entry-level, 2D and 3D systems — Topcon offers an excellent solution to meet most any demand. When contractors are ready to upgrade, the modular hardware makes it easy and cost-effective," said Lodge. "The new Haul Truck app is integrated in the Topcon site management platform and provides a complete load tracking and reporting system as well as real-time truck reporting during haul operations. The app pairs nicely with the new X-53x automatic for a more safe and integrated excavation and loading ecosystem," said Lodge.